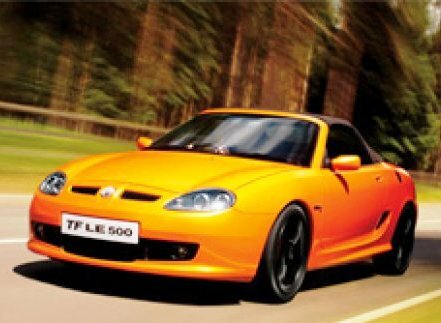 There are optimistic reports from UK asserting that MG is currently working on three new models in addition to the TF LE500 roadster. Just a few years ago, MG was reported to be planning new models with its Chinese parent company Shanghai Automotive (SAIC). Since the release of the refreshed TF LE500 roadster, there have no recent developments shared by MG. According to the recent UK reports, the new cars will be produced at the former Austin factory in Birmingham, UK, with the first model rolling out this October. To be produced first is the MG6, a compact sedan and hatch similarly sized to the Ford Fusion. The MG6 is essentially a rebadged version of the Roewe 550 sedan sold in China, which itself is based on a modified version of an old Rover 75 platform. Next to be produced will be a smaller hatchback based on the Roewe 350 that will compete against cars like the Volkswagen Golf. Lastly, MG is expected to launch a new minicar model that will be shown in concept form at the 2010 Beijing Auto Show this April. Unfortunately, MG plans to distribute the cars only in Europe. Additional merchandise including the following can be found at our Fieldhouse Club Store located at www.fieldhouse.com/amgba . We would like to thank Joe Marasco, Art Isaacs for his story, Tom & Lynette Hummel, George Galyean, Jeffrey Louis and all of the other contributors to this issue of the Octagon. Also thanks to Art Isaacs for his continued work in answering members’ technical questions and answers. Be sure to send in photos and stories so we can include them in future issues of the Octagon. American MGB Association Meet 2009 will be held in Sussex, Wisconsin in June. This is just outside of Milwaukee and more details will follow with up to date information always on our website at www.mgclub.org. Make plans to get your car back on the road in the spring and then we will see you at the many shows this year!